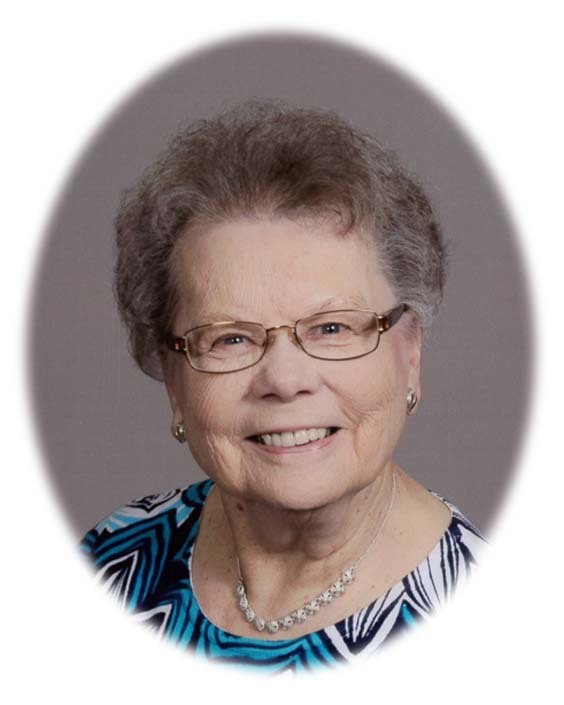 Gloria Mae Vandergon, age 88, of Maple Lake went to be with Jesus on Tuesday, April 9, 2019. Memorial Services will be held 11:00 a.m. Monday, May 6, 2019 at Heartland Evangelical Free Church, Annandale with Chuck Guill officiating. Burial will follow at Lakeview Cemetery in Silver Creek Township. Visitation will take place one hour prior to the service at the church. Gloria Mae Lundstrom was born on October 26, 1930 in Watertown, Minnesota to Ed and Marie (Wendorf) Lundstrom. During her grade school years, she lived with her parents on a farm in the Silver Creek area. Gloria later attended Monticello High School, graduating in the spring of 1948. In the fall of 1948, she continued her education at the Minnesota School of Business in Minneapolis, obtaining a secretarial degree. Gloria’s first place of employment was at the New England Furniture Company, later working as a secretary at Honeywell in south Minneapolis. She told of what a major adjustment it was to leave the country and become employed in a large city. However, she did not regret this period of her life as she met many special friends with whom she stayed in contact with throughout her life. On May 15, 1953 Gloria married the love of her life, Floris “Bud” Vandergon. She was more than ready to leave city life and return to the country and be a stay-at-home farm wife and later the mother of four precious children. She loved being a farm wife, and entertaining family and friends in their home. Gloria also enjoyed relaxing with a good book, writing letters, sending cards, traveling when possible, and spoiling her grandchildren, and later her great-grandchildren. She was an active member of the Silver Creek Reformed Church, where she served on the Ladies Missionary Society, taught Sunday school and vacation bible school, participated in cantata and other musical opportunities. Gloria and good friend, Betty Johnson, felt the need to have an activity for those of junior high age; they obtained the pastor’s approval, and started a group, rightly named, “The Energetics”, which they led for several years. They shared a passion to send out some young people on a short-term mission trip to Haiti, which meant being involved with countless fundraisers, but what a blessing this turned out to be. Gloria and Bud started attending the Annandale Evangelical Free Church in 1985, where she served on the Deacon Board, also teaching in VBS, and singing in the choir on special occasions. Gloria is survived by her three children, Barbara (Greg) Goheen of Central Point, OR, Mark (LuAnn) Vandergon of Maple Lake, and Nancy Vandergon of Chaska; 8 grandchildren, Trevor (Jessica) Vandergon, Trent (Elizabeth) Vandergon, Jacki Vandergon, Aaron (Stephanny) Streeter, Kara Streeter, Daniel (Lauren) Streeter, Joshua (April) Goheen, and Justin (Chelsea) Goheen; 10 great-grandchildren; and many nieces, nephews, other family members, including special sisters-in-law, and friends. She was preceded in death by her parents, husband Bud, infant son Bruce, great-grandson Ezekiel, six brothers, and two sisters. Because of God’s grace, Gloria had a personal relationship with her Lord and Savior, Jesus Christ, and is now enjoying eternity with Him. Gloria would truly say with the Apostle Paul, “For me to live is Christ and to die is gain”. Grandchildren will serve as urnbearers. Arrangements are entrusted with Dingmann Funeral Care Burial & Cremation Services. There's still time to send flowers to the Visitation at the Heartland Evangelical Free Church from 10:00 AM to 11:00 AM on May 6, 2019.